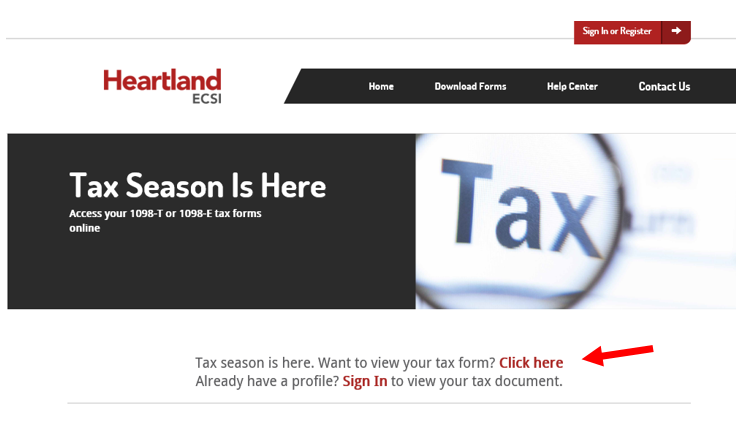 William Jessup University has contracted with Heartland ECSI to provide tax documents (1098-T forms) to its students. To access the form electronically, please begin by going online to https://heartland.ecsi.net/. Once there, Type William Jessup in the School Name and click “Submit”. Follow the instructions providing your name, SSN, and zip code. Click the box “I am not a robot” and that will get you access to the 2018 1098-T. If you did not elect to receive your form electronically, 1098-T forms are being sent by mail this week to the billing address on file. The form comes in a half sheet envelope from out of state from our program called Heartland ECSI. In previous years, your 1098-T included a figure in Box 2 that represented the qualified tuition and related expenses (QTRE) we billed to your student account for the calendar (tax) year. When you receive your tax document in 2019 for the 2018 tax year, it will look slightly different than it has in prior years. Congress and the IRS eliminated the option for colleges and universities to report the “amounts billed” on form 1098-T. Colleges and universities must now report the “amounts paid” for qualified tuition and expenses. This change went into effect for the 2018 tax year. This means that you will no longer see any amounts in Box 2 (Amounts billed for qualified tuition and related expenses) on your 1098-T form. You will, however, see an amount in Box 1 (Payments received for qualified tuition and related expenses). A sample 1098-T form has been provided below. When you receive your 1098-T form for 2018, the lower section of the page will include the transaction details that occurred on your WJU billing account for 2018, including an indication of which transactions are part of Box 1 (Payments received for qualified tuition and expenses (QTRE)). It may be the case that the total of transactions that are referenced as Box 1 do NOT equal the amount in Box 1 in the upper portion of the form. The amount in Box 1 includes all payment types (check, cash, online payments, loans, scholarships, grants, and any credit balance at the start of 2018) but only up to the total of qualified tuition and expenses (QTRE) for enrollment in 2018. William Jessup University is unable to provide you with individual tax advice, but should you have questions, you should seek the counsel of an informed tax preparer or adviser. Please speak with a tax professional if you have additional questions on how to file using the 1098-T.